This blog is a warehouse for design inspiration and process. The authors of this blog are all current students enrolled in Assistant Prof. Newton's ARTC4314H Poster Design class at Texas State University San Marcos. I found this poster from the Thai Health Promotion Foundation, to help promote exercising anywhere. 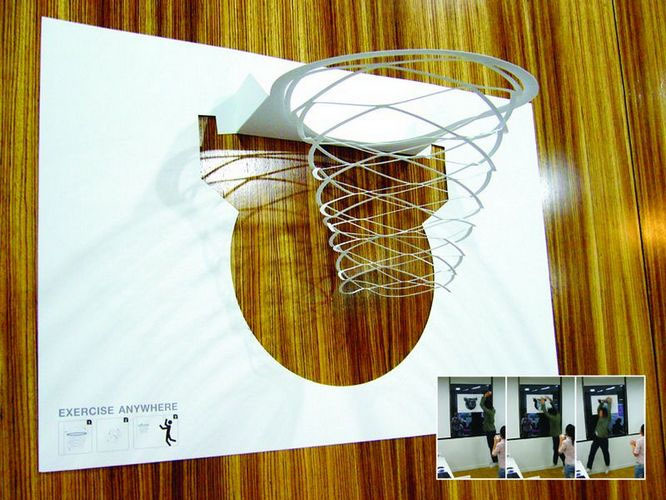 I think it is creative, and a great interactive idea.